Leaving your child at nursery for the first time is a very daunting prospect. At Glen Jakes we endeavour to make this process as seamless as possible by working with you as the parent(s)/guardians. By exchanging information regularly and taking part in nursery life whenever possible this difficult time will turn into a positive experience. Ensure the process is a positive experience. Develop a close relationship with you and your child. Provide a key person for your child. Quickly get to know your child's personality, routine, likes and dislikes and provide activities and experiences to stimulate them. Your child will have a Key Person who will manage your child's personal care, plan opportunities for them to develop holistically and be a contact point for you. Our staff provide daily feedback both verbal and written (My Day at Glen Jakes) they arrange meetings for you to come and look at your child's Learning Journey. 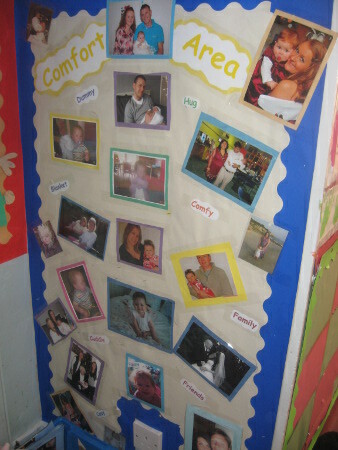 The nursery also has an open door policy for parents which means you can pop in at any time. All children are given free settling in visits. There are no set amount. We go off how the child is settling and how you as the parent(s)/guardians feels. They begin with the parent(s)/guardians staying with the child. These visits are where the parents are introduced and get time to chat with their child's Key Person and the other staff who work in that room. We feel this is a great time for the parent(s)/guardians to share any special requirements their child may need.. For example dietary, cultural and SEN. Parents are given the induction forms to fill in and a pack of policies is available to read in each room and if you would like a hard copy of any do not hesitate to ask. You are then invited back for another settle where you will leave your child for a period of time that suits. As said previously there is no limit to the amount of settles your child has it is until you and your child are happy.